TIFF and PDF are probably the most often used file types in modern offices. Both of them may contain several pages inside. 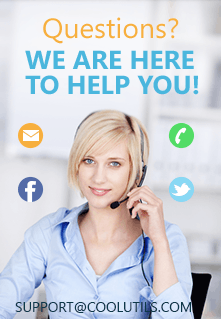 Tiff Teller is a reliable program to automatically provide you with any info (i.e. page count) about such multi-page files. You can select the columns and leave only the ones that you need. If you are interested in TIFF PDF page count but the compression rate is not important - uncheck this column. 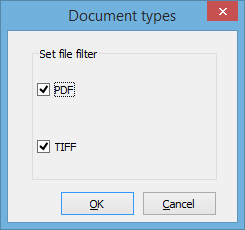 Besides, Tiff Teller allows you printing the report with the details about your TIFF and PDF files. 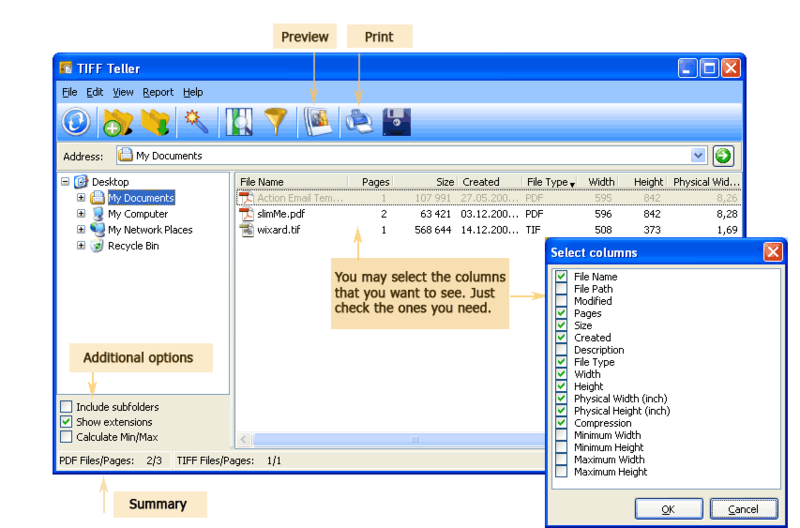 Furthermore, you can export the columns into different formats and get Excel or Word report. The full list of export formats is: PDF, DOC, TXT, XLS, ODS, SQL, LATEX. "We used TIFF Teller in our latest project. It gave us the total page count of all PDF files we had. And that was over 40,000! The option of exporting the report to xls was a life-saver to us. Looking forward to exploring other CoolUtils tools!" Tiff Teller is always at your hand to provide you with the page count of TIFF and PDF files as well as other info. Get your copy now - the price is very affordable ($27.50 only!). Once paid you get a life-time license, no hidden fees.